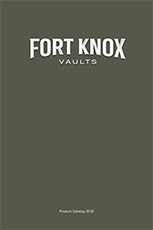 Each Fort Knox vault is made from finely crafted reinforced steel including solid steel plates that run the entire length and width of the door. 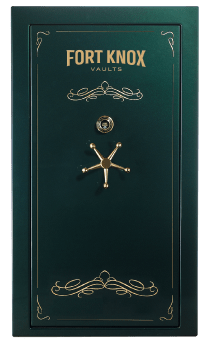 Every vault can be customized to your specifications with a variety of sizes, layouts, fire protection levels, and other add-ons and accessories to choose from. When only the very best will do, we offer the Legend. No other manufacture offers a 1/4″ thick body combined with a stainless steel liner to maximize theft and breach security. The 55 rack and pinion matching machined gears give the Legend Vault an exclusive opening system that only Fort Knox can provide. 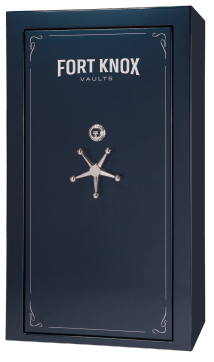 Securing your possessions with a heavy 3/16″ bodied vault is just where the Titan Vault begins. Adding the inner steel lining gives you a vault and provides superior protection on a level that only Fort Knox can provide. Even the top of the industry manufactures can only hope to manufacture the precision of the Guardian Vault. The bolt pattern offers pryable protection far beyond what the others have to offer. 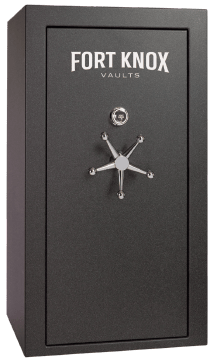 With exacting details and precise manufacturing processes, the Protector Vault is what the rest of the industry wishes they could build. 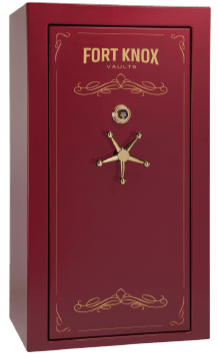 The mysteries of vault construction are unveiled with the manufacturing details of the Reinforced Fire Door and all of the industry leading components of the Protector Vault. Taking a Protector Vault and adding the durability of a thick Zolatone finish creates a practical vault designed for the rough shop type environment. 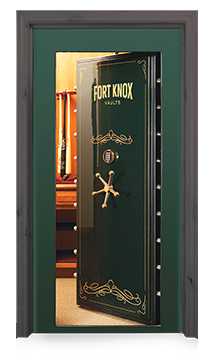 Durability and practicality with the most sizes available only occurs in a Fort Knox Vault. 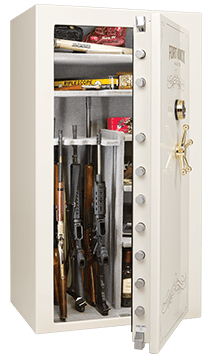 Construction makes the safe. With the Maverick Safe Series, design standards are equivalent to most of the other manufactures upper end products. 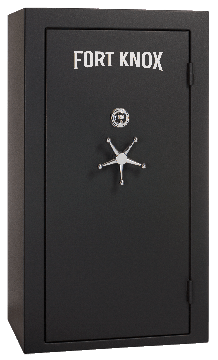 Compare the details, the value and security of the Maverick Safes and see how it sets itself above the rest of the safe industry. 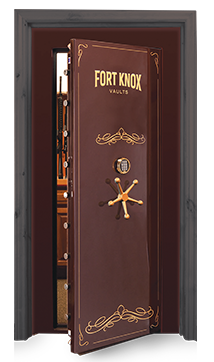 Designed for the best walk-in security for your home, Fort Knox vault room doors ensure all of your valuables are safe and secure. Available in two different sizes and four easy-to-install models.